Myths and Facts about food! 4 Apple Cider Vinegar Recipes for Instant Immunity Boost and Healthy Weight Loss! 18 Mind Blowing Uses For Aloe Vera – You Will Never Buy Expensive Products Again! Drinking Water On Empty Stomach Immediately After Waking Up! Controversy continues to rage over the artificial sweetener aspartame. Since it was first approved by the Food and Drug Administration (FDA) in 1981, aspartame has made its way into more than 6,000 food items. The FDA claims aspartame is safe but has set an acceptable daily intake of no more than 50 mg per kilogram of body weight. In other words, an adult weighing 165 pounds should consume no more than 3,750 mg of aspartame a day. A can of diet soda typically contains about 180 mg of the chemical. That means the FDA’s “safe” limit equates to about 21 cans of diet soda per day. But is any level of aspartame really safe? For decades researchers have claimed aspartame is responsible for headache, memory loss, mood changes, and depression. Consumer complaints back them up. Over 75% of adverse reactions to food additives reported to the FDA concern aspartame. Reported problems include headaches, migraines, vision problems, tinnitus, depression, joint pain, insomnia, heart palpitations, and muscle spasms. Recently researchers from the University of North Dakota wanted to test the safe limits of aspartame over a short period of time. They found that at just one half of the FDA’s “safe” acceptable daily intake, aspartame caused serious neurobehavioral changes including cognitive impairment, irritable moods, and depression. The researchers recruited 28 healthy university students for a 4-week blinded trial. Participants were given three meals and two snacks for 8 days. The food contained either high amounts of aspartame (25 mg/kg body weight/day) or lower amounts of aspartame (10 mg/kg body weight/day). After 8 days the participants entered a 2-week washout period and then crossed over to the other treatment diet. Foods containing aspartame included jellies and syrups, puddings, gelatins, yogurt, ice cream, beverages, and desserts. The researchers found that spatial orientation skills were significantly worse for participants after their high-aspartame diet than after their low aspartame period. Two participants also actually had clinically significant spatial orientation impairment after consuming high-aspartame diets. Two other students experienced clinically significant impaired working memory. In an earlier study of 90 university students, aspartame users reported longer memory lapses than non-users. In the North Dakota study, no students showed signs of depression after eating the low-aspartame diet. But the students became significantly more depressed after they consumed the high-aspartame diet. And after consuming the high-aspartame diet, 3 participants showed signs of mild to moderate clinical depression. The participants also showed significantly more irritability after consuming the high-aspartame diet. The researchers believed their results were consistent with an earlier randomized, double-blind, crossover trial which showed severe depression related to aspartame. In that study 40 participants with depression and 40 participants without depression were given even higher aspartame meals (30 mg/kg body weight/day) or confectioners’ sugar. [iii] That study had to be halted early due to severe adverse reactions suffered by the depressed participants who consumed aspartame. How does aspartame affect the brain? The researchers noted that the chemical makeup of aspartame is in part responsible for its effects on the brain. Aspartame is metabolized to yield aspartic acid (an excitatory neurotransmitter), phenylalanine, and methanol. Methanol, also known as wood alcohol, breaks down in the body to formaldehyde. 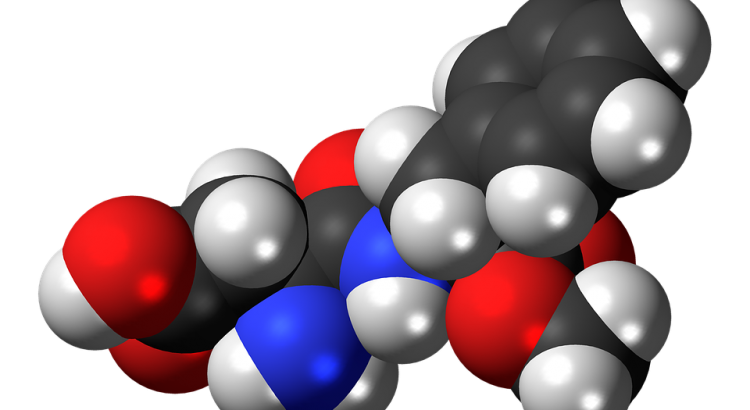 Other researchers have reported an association between substantial increases in phenylalanine and aspartic acid, and reductions in dopamine and serotonin production following aspartame ingestion. The researchers point out that there are relatively few clinical studies of the neurobehavioral effects of short-term aspartame consumption. More research is needed especially on the long-term effects of daily aspartame use. How can you avoid aspartame? Aspartame has made its way into so many products it’s difficult to avoid. You’ll find it in diet sodas, instant oatmeal, yogurt, sugar-free gums, candies, flavored waters, hot chocolate mix, pudding, salad dressings, ice cream, children’s vitamins and thousands of other products. You have to read the labels on all packaged foods especially if you are one of the millions of people who are sensitive to aspartame. Instead try stevia. It’s a natural sweetener made from the leaves of a South American plant. You’ll also see it called “sweetleaf” or “sugarleaf.” Stevia is essentially calorie-free. Look for the less processed green stevia rather than the white powder form. Haven’t Replaced Your Toothbrush For A Long Time? -Read THIS! Have you heard about caveman – paleo diet? 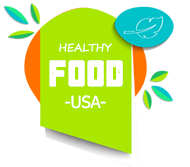 © Copyright 2019 Healthy Food USA - Healthiest Eating in America Tips & Guides. Travel Magazine by Rara Theme. Powered by WordPress.